Ragnarok Publications and I have decided to part ways. It’s bittersweet, but it’s ultimately the best decision for me and my work. I think the owners of Ragnarok are good, genuine men who are working hard, and this move benefits all of us. 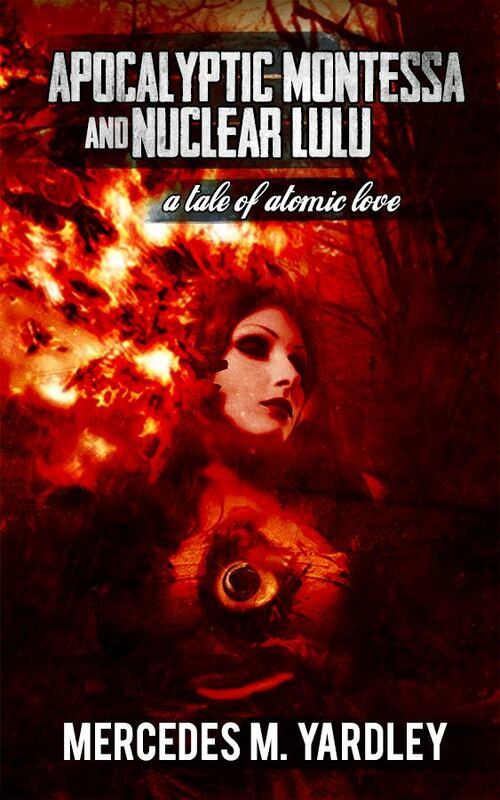 This means that my books Nameless: The Darkness Comes, Apocalyptic Montessa and Nuclear Lulu: A Tale of Atomic Love, and Pretty Little Dead Girls will soon be out of print. This will (hopefully) be temporary, and I’ve already received some very kind offers about re-releasing them. I’ll admit that seeing my books (my babies! My poopsies!) come down was a very difficult thing. But we can do difficult things. As far as I know, the audiobooks will still be available. There are a few more details to iron out, and then I can focus on my next step. Thank you all for your support, love, and encouragement. I’m hard at work on a few other projects, including the Tales of the Lost Citadel project and revising an old novel that is very dear to my heart. The characters in this book make me weep. I want beautiful things to happen to them, but sadly, that isn’t always the case. The novel is lovely and torturous and dark and full of wonders. It’s been a pleasure to fall into again. Seriously, I hope your books get picked up. I honestly believe you will soon find another publisher. Until then, *hug*, and let the words continue.